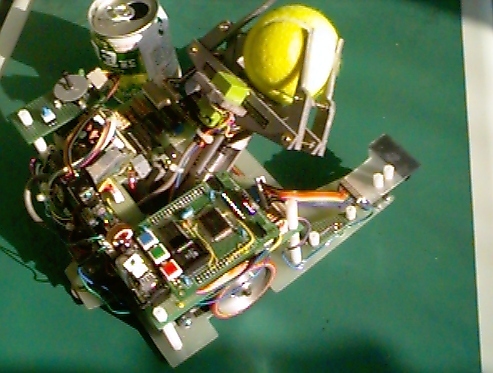 This is a AMORO robot for Robot competition. I have concerned about Robot that contain the manuplator. using the tongsfor decreased friction of body. If you got some information (robot source ???? ^^) ,send mail.